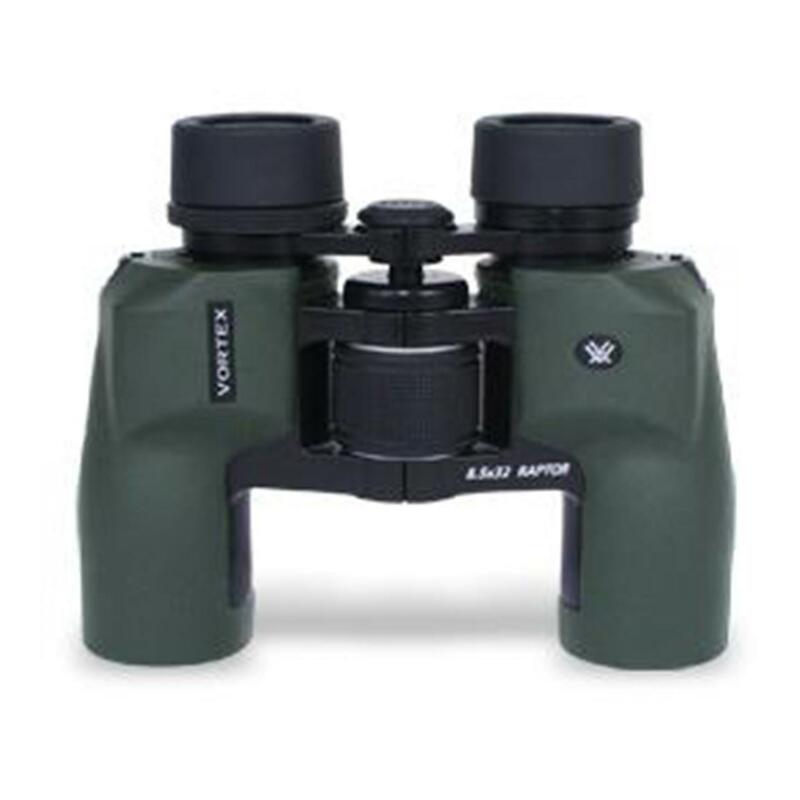 Vortex Raptor 8.5x32mm Binoculars. Rich, 3-dimensional images, wide field of view, easily adjustable... Vortex Raptor takes family-friendly optics to whole new heights! There's no better value in binoculars than a pair of quality porro prisms. And with Raptor Binocs, Vortex has taken porro prism performance to a whole new level with a mid-size, wide-angle design featuring waterproof, fogproof construction and fully multi-coated optics. Delivering a bright, crisp image with excellent color fidelity, the Raptor brings you closer to the action, even in low-light conditions! And with a wide range of interpupillary distance (the space between your peepers), this Pair can be easily adjusted to fit anyone in the family... from young children to adults! Don't just see it, experience it! Order ONLINE Today! 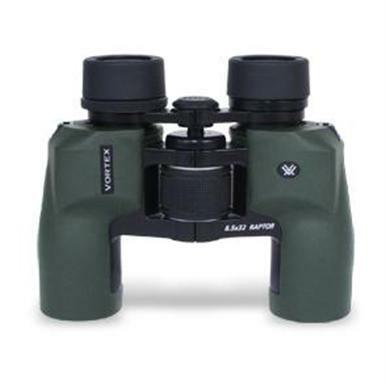 Vortex Raptor 8.5x32mm Binoculars is rated 5.0 out of 5 by 4. Rated 5 out of 5 by Eriman from Talk about getting more bang for your buck! I received these binocs as a Christmas gift last year and I am blown away but the quality for the price. When I found out how much they had cost after using them the first time I was amazed. The glass is very clear for this price range. I normally have a hard time using "normal" binoculars but all those issues went away with the adjustments that can be made. I recommended these to anyone looking for a high quality/low price binocs. Rated 5 out of 5 by Floyd from Very happy with this perches Unbelievable clearly, very durable and a fantastic field of view. These have became a very important key to my hunting strategy. Rated 5 out of 5 by JBtex from Vortex user for life I bought these to replace a cheaper brand and even though they are lower magnification I believe that they provide more magnification as I can see things with these that I couldn't with the other brand. Will be buying more Vortex products in the future. Rated 5 out of 5 by Long Shot from Huge bang for the Buck Ive used these for sevral seasons and I alway see what im looking at. Low light is great, ive seen hogs at night and deer in the field early A.M. They are lite and hit adult and children face very good. The extending eye peace is awsome really lets you get settled in. I do wish the right eye focus would lock, somtimes it gets turned pulling out of backpacks at night. All in all they are great really clear and worth more than Vortex is asking.